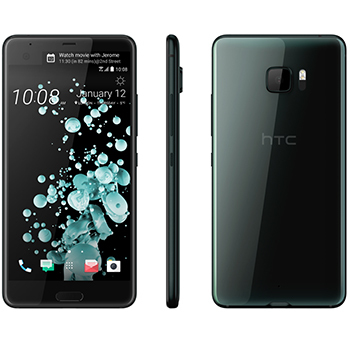 All of our HTC devices are fully unlocked and sim free for all UK and International customers. You can even switch up your sim or service provider at any time as the handsets will remain unlocked. International and worldwide delivery is generally within 1-2 working days via FedEx, with full 24 month warranty. Don't forget if you're purchasing outside the EU you'll pay the Ex-VAT price. Offering four high-sensitivity omnidirectional mics you can record sound in 360 degrees for immersive audio on your HTC U Ultra, whilst enjoying the power benefits of Qualcomm™ Snapdragon™ 821, 64 bit quad-core (up to 2.15 Ghz) processor. Running on Android OS, with 4GB Ram, the U Ultra will keep up with you no matter how busy your day. HTC Sense Companion offers the personal companion who is always learning from you, and the things you do every day. The HTC U Play is made to evolve and get to know you better over time. With voice recognition built-in, just say the word to unlock your phone, take or reject incoming calls, snooze or dismiss an alarm, send messages and even begin hands-free navigation. Best of all, it’s made to evolve and get to know you better over time. Awarded an industry leading DXOMark score of 88, you can get photos with less blur, super-fast laser focus and new Phase Detection Auto Focus (PDAF) on the 12 megapixel rear camera. The new selfie camera on HTC U Ultra lets you easily switch between 16MP and UltraPixel™. Now you can choose between the unparalleled 4x light sensitivity* that Ultra Pixel offers (perfect for candlelit dinners), and the high resolution detail that 16MP provides. 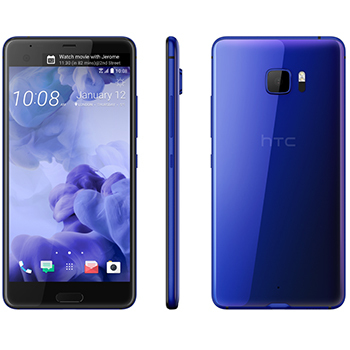 The HTC U Ultra offers the benefits of a second screen, giving you the information you need without the interruptions. Offering a Quad HD 5.7” phablet sized screen with Dual Display Pixel density at 513 ppi (pixel per inch) you'll enjoy convenient access to the things you use the most - like your top contacts, app shortcuts, event notifications and more.